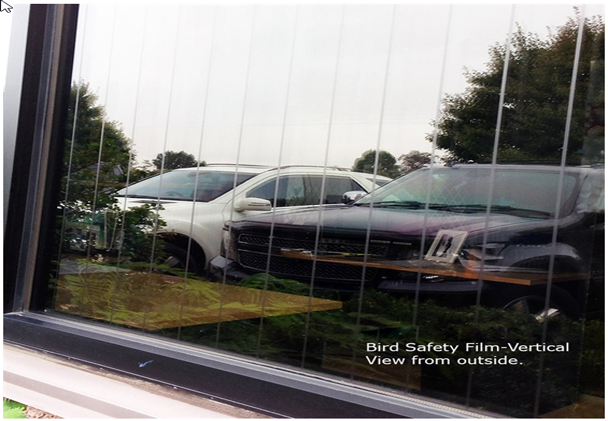 Bird Safety Film is designed to deter birds from flying into reflective glass, thus suffering an injury or death. This film is easily applied to exterior glass, outside surface, and is made of a durable, crystal clear, outside weatherable, scratch resistant polyester film. 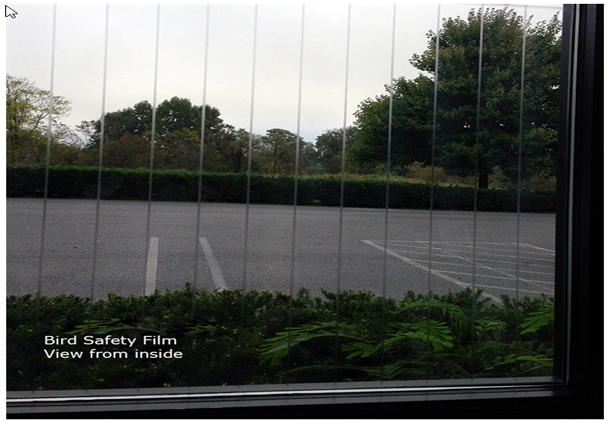 This film has an expected outdoor life of 7 years and is cleanly and easily removed and replaced if needed. 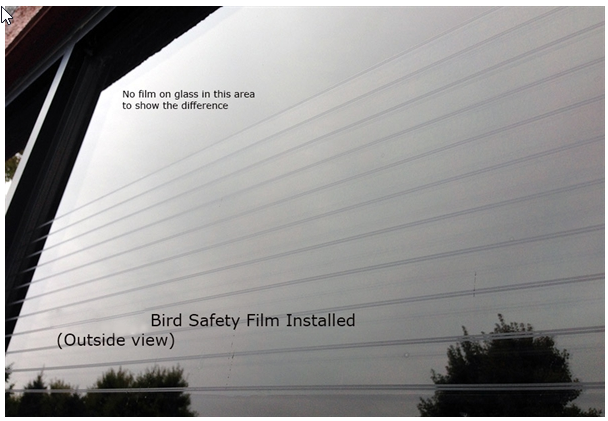 Why Bird Safety Film? 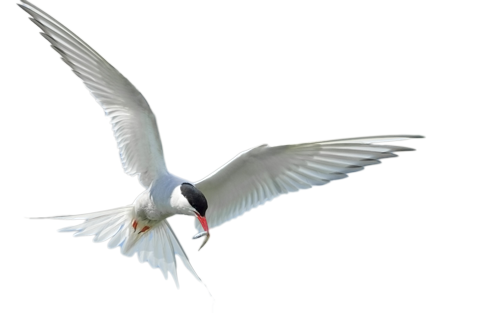 –"Birds cannot see glass. They see a reflection of their habitat (trees, bushes, water, sky) in windows or in the mirrored exteriors on office towers and other structures, but they cannot see the glass. 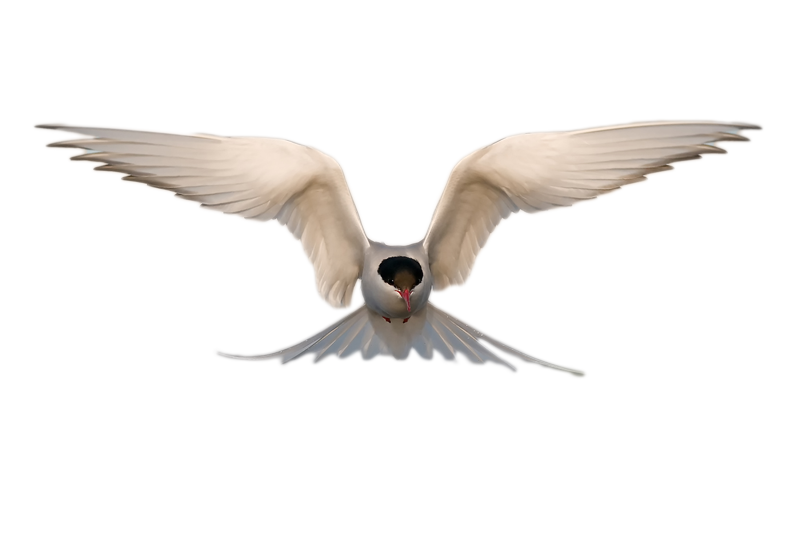 From a bird’s perspective, glass is an invisible barrier to their habitat. 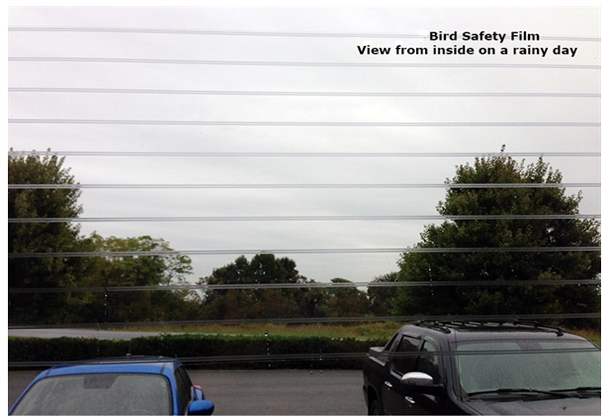 Safety For Our Feathered Friends.